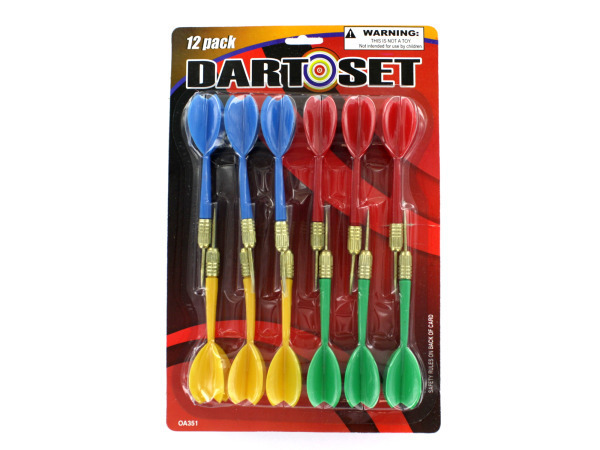 A high quality set of 12 darts is a must have for any game room. All you need is a dartboard and you're ready to play. The set comes in green, blue, yellow and red colors. Three darts per color. 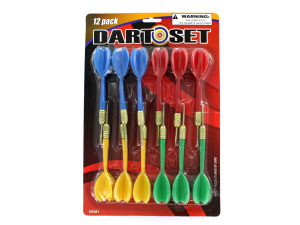 The dart set is packaged in a clam shell. Warning, this is not a toy. Not intended for use by children.